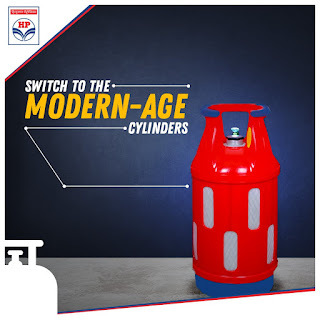 Hindustan Petroleum Corporation Limited (HPCL) is all set to launch new, colorful LPG (domestic cooking gas) cylinders soon across India in a few months. These new fiber-made composite cylinders are lighter and easier to handle compared to the existing steel cylinders; they come with various safety measures and are safer too. Here’s how much consumers will have to pay for these modern cylinders. How much do consumers need to pay for new cylinders? The composite LPG cylinders will be available in capacities of 2kg, 5kg, and 10kg of domestic cooking gas. The metal cylinders in use contain 14.2kg of cooking gas. These cylinders are, however, expected to cost more than the existing ones. Also, in order to receive these modern cylinders, consumers will have to pay around Rs. 1,000 and also return their old, steel cylinders. New cylinders do not explode even when engulfed by fire HPCL received the go-ahead from the Petroleum and Natural Gas Ministry for launching the composite LPG cylinders reportedly after years of delay. These modern cylinders are better in terms of safety compared to the existing metal cylinders. They ensure fire safety and even when engulfed by fire, the new cylinders do not explode thanks to the fiberglass technology. The composite cylinders, part of Pradhan Mantri Ujjwala Yojana initiative, would reportedly weigh half the metal cylinders but would cost double that of the existing ones.